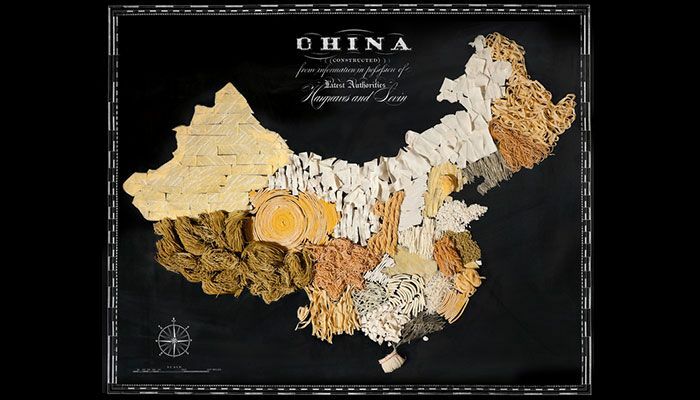 Inspired by their passion for travel and food, New Zealand-based artist Henry Hargreaves and New York-based stylist Caitlin Levin created a series of beautiful “food maps“, all made out of food each country is most known for: noodles for China, cheese for France, tomatoes for Italy, kiwi for New Zealand, etc. The typography, done by graphic designer Sarit Melmed, gives the maps a classic, vintage look that’s both beautifully pleasant to the eye and perhaps the stomach. How can I get copies of the delectable food maps? « 5 healthy foods that can make you gain weight!